Long-time rapper and part-time actor Mos Def has announced all of the details of his fourth solo album, his first release since 2006's disappointing True Magic. The record is titled The Ecstatic, and is due to hit stores at the end of the summer. Besides an obligatory appearance from Mos's former Black Star collaborator Talib Kweli, the album also includes spots from Slick Rick and Georgia Anne Muldrow, as well as two tracks that sample the legendary Fela Kuti. Still, the real question is when exactly is the album is coming out? While many places have listed the album with a June 9 release date, others, including NME, say the record won't be out until the end of August. 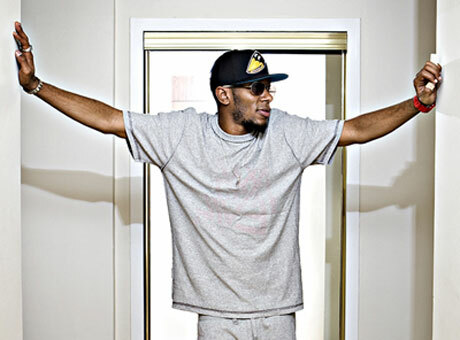 Either way, The Ecstatic is almost here to make or break Mos Def as a solo rapper. 3. "Auditorium w/The Ruler" (featuring Slick Rick) 4. "Wahid"
7. "Life In Marvellous Times"
14. "Roses" (featuring Georgia Anne Muldrow) 15. "History" (feat. Talib Kweli) 16. "Casa Bey"